Thisquietarmy is a Canadian one man drone/ambient outfit and one of the Amenra’s guitarists has his solo project Syndrome who is handling in the same musical field. Both, Eric and Mathieu are sharing their ideas, guitars, effects and what more for this first collaboration album. Three rites where assembled at home and the bonus track is a live collaboration recorded in Magasin4, Brussels. 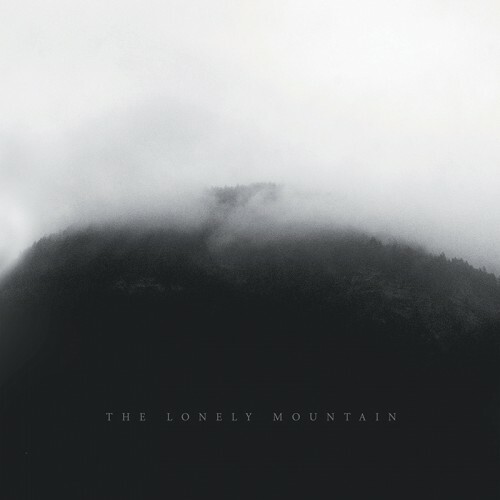 The Lonely Mountain is starting with ‘The Cold Valley’ and this ten minute track is right from the start a dark and cold trip into the direction of Dark Ambient and some noise filters on top of it. ‘A River that never ends’ is a lighter trip and starts off in the typical Syndrome way with slowly meandering guitar loops in the calm and positive spectrum of ambient music. Slowly the influence of Thisquietarmy is coming on board and the heavy effects and darkness is setting in. Expect a river that is starting calm, getting rougher and in the end never stops running. In a similar way ‘A Black Breath Blows in the Sky’ is starting, with effects kicking in and going away this track is the most experimental. The end part is a noisy sound that’s slowly increasing in sound until the complete track stops. It’s my least favorite track because the harmony of the first two tracks is not found. The untitled bonus song is starting up in the same way as the second track. Syndrome’s start is similar to his song ‘Now and Forever’ and with the addition of Thisquietarmy’seffects this song is more and more deforming into a vile beast with echoing feedback and spacy tones in the back. The haunting vibe of the song makes up what was missed in the third song. It also contains the spontaneity and roughness of a live show. The Lonely Mountain has some great moments and is a worthwhile addition to both artists discography but it’s nowhere their best work. Diehard fans from both and Amenra should either pick up this piece of ambient/drone music.